In your experience, what are the best brushless creams? There are actually a bunch of brushless creams out there, more than I would have anticipated. Having recently switched to these, I am curious: for those of you with a bunch of experience in these, which are the best you have found? Pinaud Clubman Classic Barber Shave Cream / Shave Cream: both pretty bad, the canned stuff is far worse. Dollar Shave Club Dr. Carver's Shave Butter: so far my gold standard. I haven't found anything better than this. (11-26-2018, 04:34 PM)CzechCzar Wrote: In your experience, what are the best brushless creams? There are actually a bunch of brushless creams out there, more than I would have anticipated. Having recently switched to these, I am curious: for those of you with a bunch of experience in these, which are the best you have found? It's not strictly "brushless", but I was on a trip this past week and brought FLORIS No. 89 cream in the tube and it was utterly fantastic, as usual. I usually use it with a brush but I can say the cream lost nothing using it without a brush. Amazing post shave. Afterward, you can easily feel where it touched your skin and where it didn't. Silk where it did. Pricy, but it is the best cream any money can buy. Most creams can be used ‘brushless’ style. Of the non-lathering creams I’ve tried, the Biotique Palmyra gel is good, extremely slick and also good as a pre-shave. I have Mollé and SNM Pre Dopa Barba which I also believe is used as a non-lathering cream. I have a day left before I can try out Mollé and SNM, but I will report back with the results. My initial,very limited impression is that Mollé is not that slick, and the SMN can be used pre, during, and post. (11-26-2018, 06:20 PM)Steve56 Wrote: Most creams can be used ‘brushless’ style. Out of my price range but tempting! Aubrey and Rise ain’t bad by a long shot, but both lack cushioning in my opinion. Thanks for the tip! Can you comment about what made it stand out, and what others you have tried? 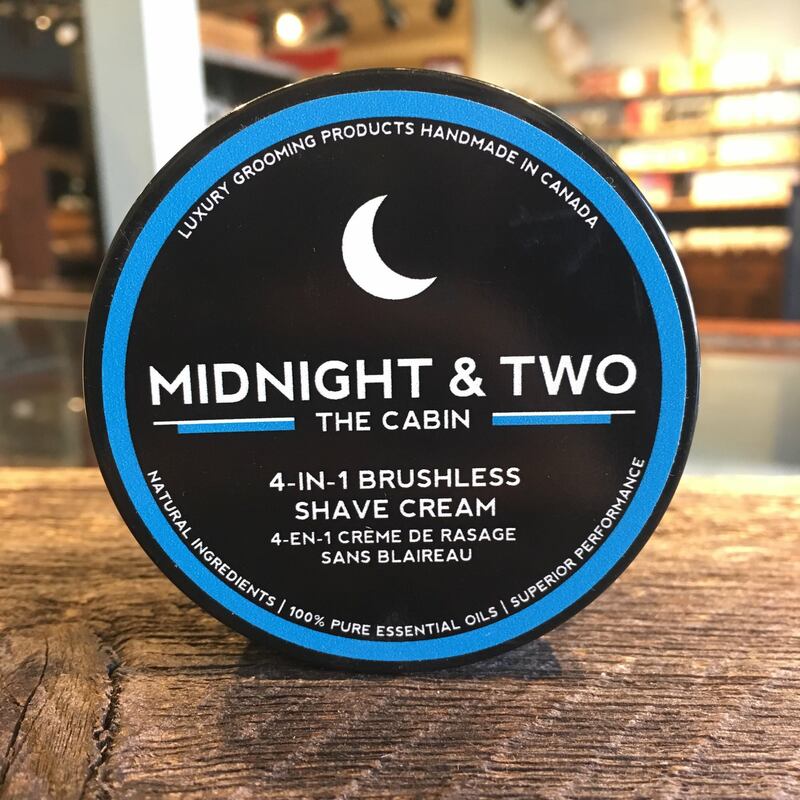 Pre shave, shave cream and post shave balm all in 1. I thought it was a gimmick until I tried it. The Aubrey Men’s Stock Northwoods brushless cream is a very strongly mentholated and pine-scented cream, which makes it unique among the nine soaps and creams that I currently have in my over-the-sink cabinet. Although there are many of our cohort on this board who like and use menthol shave preparations frequently, I am not among them; but that does not mean that I dislike the genre, just that a strongly cooling preparation is a concoction that I find myself reaching for only occasionally. (I do apply a very thin layer of Noxzema Classic Clean Original Deep Cleansing Cream to my still-wet beard after washing, as a pre-shave element.) 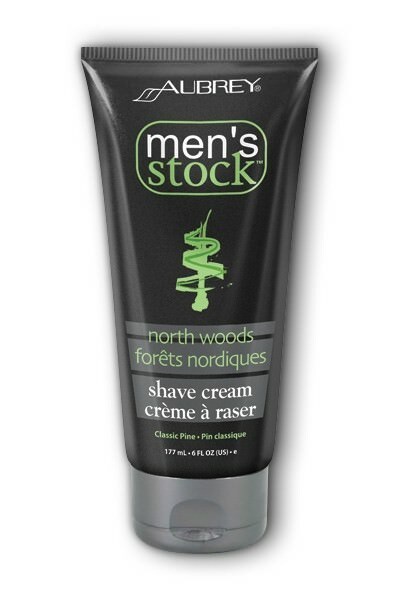 Among mentholated shaving creams that I have tried, the Northwoods has a pleasant, non-medicine-like, scent that “wears well,” that is, I do not tire of it. Currently, I have two other shaving creams in the cabinet, Art of Shaving Ocean Kelp and Kiss My Face Shea Lavender 4-in-1, the latter of which I purchase in the 100 ml TSA-approved-for-carry-on tube packaging. (The Northwoods tube must be in checked luggage on a commercial flight.) The three creams have three distinct organoleptic properties. The AoS cream feels between the fingers like the cold cream that your wife might use in place of soap to cleanse her face: creamy, but with an ever-so-slight crumbly aspect; the Kiss My Face is a less viscous, more liquid, cream, like many sunblock preparations; the Northwoods feels almost oily when rubbed between the thumb and forefinger (though it is not oily, in fact): somewhat more the feel, when it is applied, of an ointment than of a cream. And, like an ointment, it is translucent and, except for some shininess, it is pretty much invisible when applied and before applying the blade to the beard. When I use the AoS cream, I always lather it on my beard, although that is not strictly necessary. When I use the Kiss My Face (incidentally, Kiss My Face uses different formulations for different scents within its brushless cream line), I sometimes lather it after applying it. When I use the Northwoods, I never lather it after applying; indeed, I think that it could not be used to generate a lather. A full rinse of the Northwoods is not necessary after shaving, and, if you require some protection from windburn, I think it might have that property if you were to leave it on your face after shaving. I hope that you find this explanation helpful. That is incredibly helpful, thanks! I recently picked up one called Andalou at my local T.J. Maxx. It is hemp-derived (!) and quite slick/effective. I like it because it's semitransparent and allows me to maneuver around the mustache. I recently saw another one called Yes To at a Marshall's...a few tubes of it, in fact. It looked like a good product, but I passed on it because I have plenty of Andalou left in that tube. Awesome, thanks much. What are the highlights of it in your opinion? (11-27-2018, 11:21 AM)Rory1262 Wrote: I recently picked up one called Andalou at my local T.J. Maxx. I used Kheil’s in the blue tube for well over a decade before discovering wet shaving. It’s [Kheil’s] kind of messy in that it doesn’t rinse easily from the [cartridge] razor. That said, it worked much better for me than canned goo, it *almost rectified any ingrown issues, but not as well as using a brush and soap, and a DE. I can’t soeak on the other brands, as I’ve not used them. Just PM'd you. Have samples of two you want . I've only tried 7 or 8 brushless creams, but in my experience Stephan's Stay Smooth is the best I have tried. I also enjoy Barbasol. I've only seen it in Sensitive Skin formula. An old timer says it smells just like it did in the 1940s. Very slick, and great for the skin. I recently picked up a new one- Master's "Vanishing Menthol" cream. The advert says it can be used with a brush, but I tried it, & it doesn't lather. Close in scent & in performance to the old pink Noxzema, however. Awesome. Do you mind if I ask what others you have tried? (11-27-2018, 03:52 PM)Jacobite Wrote: I've only tried 7 or 8 brushless creams, but in my experience Stephan's Stay Smooth is the best I have tried. I also enjoy Barbasol. I've only seen it in Sensitive Skin formula. An old timer says it smells just like it did in the 1940s. Very slick, and great for the skin. I recently picked up a new one- Master's "Vanishing Menthol" cream. The advert says it can be used with a brush, but I tried it, & it doesn't lather. Close in scent & in performance to the old pink Noxzema, however. Cremo, Kiehl's, Lucky Tiger, Kiss My Face... there may be another one I can't recall. But Stephan's is absolutely the best I have used, with Barbasol a close second. The only drawback to Stephan's is that it smells more like sunscreen than shaving cream. Kind of a coconut-pineapple thing. EDIT- I forgot the old pink Noxzema in the cobalt glass jar!